featured at the 45th Annual Academy of Country Music Awards ceremony in Las Vegas recently. After picking up the Humanitarian of the Year Award, the Vocal Duo of the Year nominees treated the crowd to a rockin’ performance. 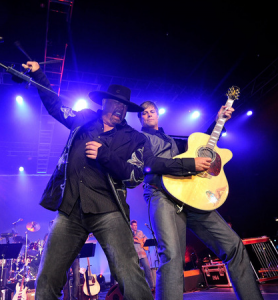 Don’t miss Montgomery Gentry with special guest HER & Kings County, live at AMT on Sunday April 25th! Tickets are still available, so click here to find your seats.